Faf du Plessis hopes South Africa can continue coming good in ODI series deciders – they have won their last five, stretching back to 2015 – ahead of the final match against Pakistan in Cape Town on Wednesday, 30 January. 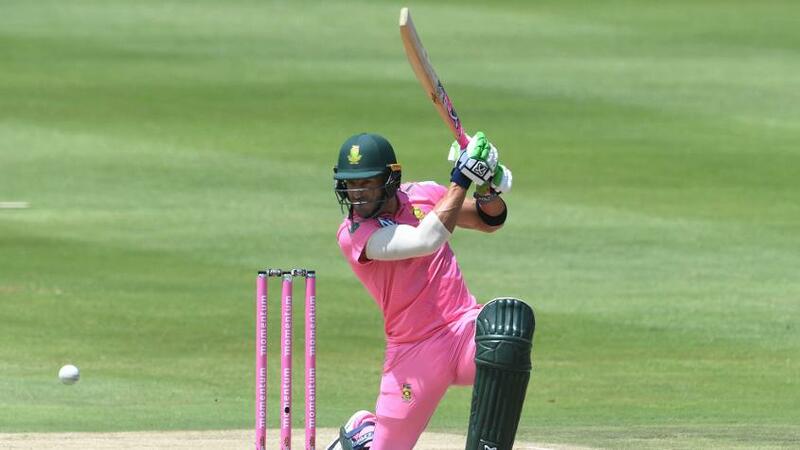 The series is currently tied 2-2, and du Plessis said it was an opportunity for his side to test how they perform in the big games, with an eye on the ICC Men's Cricket World Cup 2019 later in the year. "For me, it is about finding out how we play the big games," du Plessis said on Tuesday. "You don't want to make it any bigger than it is. It is obviously a big game, but sometimes when we do make it a big thing, we don't always bring our best as a team. "For me it is about freeing up the guys and to allow them to go out there and express themselves in any way they want." Playing a tie-breaker months away from the World Cup should only help in South Africa's preparations for the big event which is expected to throw up such high-pressure clashes. However, du Plessis said his team didn't have do anything differently to win these games. "We don't want them to see it as a big game where they have to play differently," he said. "In the last two years, we have played well in these scenarios and we want to test ourselves every time there is a series-decider." Pakistan levelled the series in some style against South Africa in Johannesburg. The 20-year-old Wiaan Mulder has been added to the squad for the final ODI as South Africa continue to experiment and narrow down on their best combinations for the World Cup. "That has been very clear over the last year, we haven't always picked the team that is expected or with the most experienced players," said du Plessis. "It's about giving young guys the opportunity to play." South Africa have never won a Men's World Cup but have been favourites to win it many times. Now, however, du Plessis believes there isn't as much pressure on them as the previous tournaments. "Every team will be going to the World Cup with the same hopes of trying to win it," du Plessis said. "There are a lot of strong teams, we are going with less pressure on us as a team, there is less expectation of us winning it. "It is quite clear that England and India are the two favourites. We have a young group in our squad, the guys are excited about the opportunity. There are a lot of guys still trying to find a place in the World Cup 15, it is exciting and we are looking forward to see what the final squad for the tournament will be."